This final week of Advent, we focus on receiving the peace that surpasses all understanding as we recognize God’s presence among us. Our waiting is almost over. In these last days of Advent, we stand on the threshold of Christmas. As we have waited, we have experienced the presence of the One for whom we wait. God’s presence brings peace. We have placed ourselves in the posture of God’s people of the Old Testament, groaning for their Messiah. 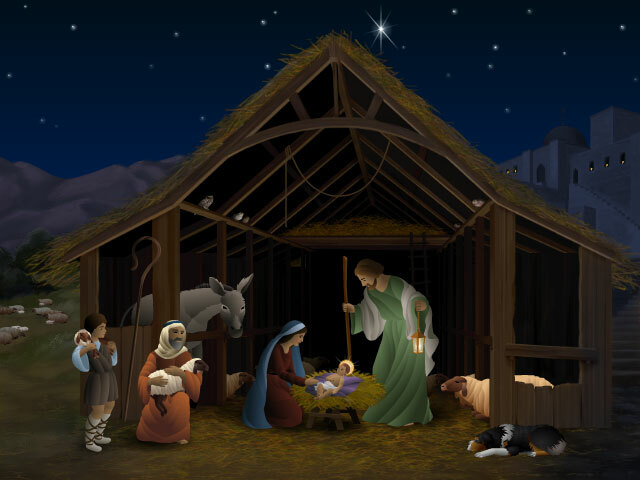 This is one of the promises that kept their faith strong: “For to us a child is born, to us a son is given, and the government will be on his shoulders. And he will be called Wonderful Counselor, Mighty God, Everlasting Father, Prince of Peace” (Isaiah 9:6). Jesus was born into a time of turmoil. Herod, threatened by the birth of the Child people were calling a king, ordered the murder of all male children in and around Bethlehem ages 2 and younger. We can hardly comprehend it. Like so many atrocities taking place around the world today, when the powerful are threatened, the innocent die. But God promises that one day, the fighting will end. Isaiah 2:4 reminds us that those who fight will “beat their swords into plowshares and their spears into pruning hooks. Nation will not take up sword against nation, nor will they train for war anymore.” The peacemakers will be blessed indeed. In these final days of Advent, we wait for the birth of the Christ child, the Prince of Peace. And we wait for Jesus’ coming again in glory, when swords will become plow-shares. We pray for those who live in conflict, that they will be protected. We pray for the situations that create conflict, that they will be resolved peacefully. We pray especially for the children, who are hurt the most by conflict. Protect them and bring caring adults alongside them to nurture them. Show us how we can be peacemakers in our own relationships, our own families and workplaces, and the world. Help us to be blessed as peacemakers in Your name. If Jesus has not been the center of your life, this is a great time to recommit yourself to Him. Thank God that He loved you enough to send His Son to die for you. Reflect upon and praise God for the hope, love, joy, and peace that comes from Christ alone.